Whether your tastes run tropical or nautical, these waterfront retreats will set your mind to island time. 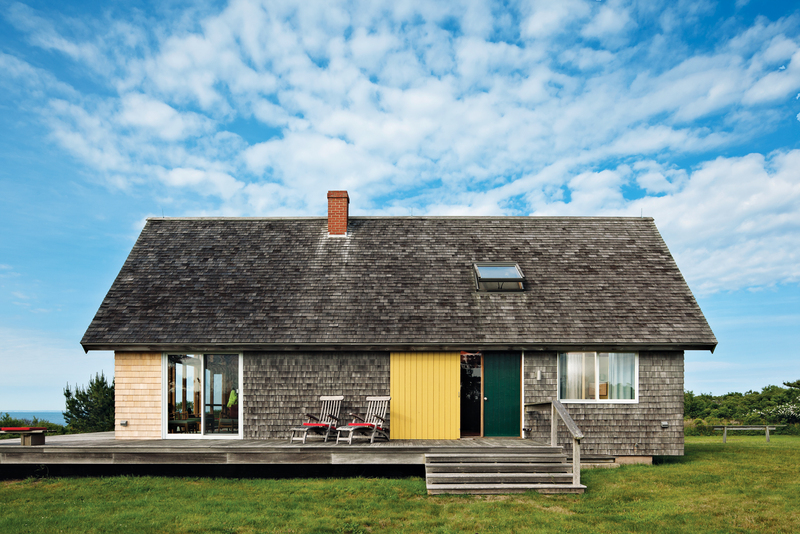 On Block Island, just off the coast of Rhode Island, designer Jens Risom created a prefab retreat in 1967 to prove that a vacation house could be built for less than $25,000. Today, the modest A-frame structure remains as idyllic as ever, albeit with a few tweaks, like sliding doors to the deck that replaced wind-battered glass ones. On Hawaii's Big Island, architect Craig Steely's Lavaflow houses—like No. 4, seen here—are like the Case Study program rendered in miniature. To build his 3,000-square-foot house on Henry Island in Washington's Salish Sea, Grammy-winning music producer Adam Kasper had to have every single item brought in by barge or boat. Ljubljana-based Dekleva Gregorič Arhitekti designed this geometric house on the Hawaiian island of Maui to blend in with the cliffside. The clients cited Frank Lloyd Wright’s Mrs. Clinton Walker House in Carmel, California, as inspiration. This prefab cabin on a Wisconsin island in Lake Superior was created by Charlie Lazor, inventor of the FlatPak house. The modular 1,600-square-foot open-plan Week’nder sports a screened porch and black finish.